Theland Kicknosway is an incredible young man. At 11 years old, the Pottawatami Cree youth from Walpole Island is already a valued and trusted leader in the Indigenous community in Ottawa and beyond. Theland is a traditional drummer, singer, and hoop dancer who shares Creator’s gifts with the community at FSIS’s (Families of Sisters in Spirit) anuual October 4th and February 14th healing ceremonies and vigils honouring missing and murdered Indigenous women, girls and Two-Spirits (MMIWG2). As he nears his 12th year in the Physical World, Theland has decided to embark on a Journey to show his continued commitment, support, and solidarity with families, and in particular those youth impacted by violence and MMIWG2. Coming from a People of runners, Theland has initiated a 134 KM Walk/Run from Gatineau to Kitigan Zibi First Nation (Quebec) beginning on Tuesday, March 31st, 2015. The Walk/Run is expected to last between 5-7 days with approximately 5-6 hours each day dedicated to running. 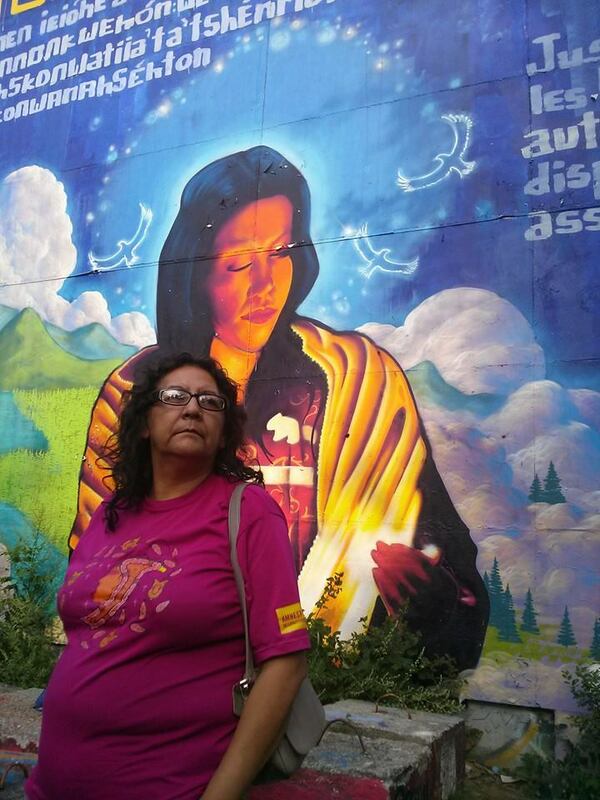 Theland’s Journey begins Tuesday at Gatineau Park in Gatineau, Quebec at the site where Kelly Morrisseau, who was seven months pregnant and mother of three, was murdered in December 2006. Stops will be made at the spot on Highway 105 in Kitigan Zibi where Gladys Tolley was fatally struck by Quebec police in October 2001 and the MISSING billboard for Shannon Alexander and Maisy Odjick who disappeared from Maniwaki, Quebec in September 2008. To kick off Theland’s Journey there will be a community potluck feast (Turkey dinner provided) as well as prayers from Elder Thomas Louttit, sign-making and 50/50 draw on Monday March 30th from 6:30 — 8:00 PM at the Odawa Native Friendship Centre (250 City Centre Ave). Please come show your support. Come to Theland’s Journey kick-off feast, sign-making and 50/50 draw! Join Theland during the Walk/Run! Follow Theland’s Journey on facebook! Details TBA! Honouring and Remembering Missing and Murdered Indigenous Women, Girls and Two spirit, Supporting the Living. Mexico is currently considered one of the most dangerous countries in the world for its own people due to the War on Drugs and several crimes committed by state actors. However, this is not new for Indigenous populations in Mexico. Indigenous communities have been the target of military and police attacks, particularly since the implementation of the North American Free Trade Agreement (NAFTA). The adoption of NAFTA “coincides” with several rapes, murders and disappearances of women along the Mexico-US border, many of whom are Indigenous women. Families along the northern borders estimate that in the past 20 years more than 500 women have been murdered or have gone missing. Different governments have attempted to discredit these women and their families, while neglecting to investigate and prosecute the crimes committed against them. The War on Drugs and the complicity of Western countries have resulted in an official count of 24,000 feminicides since 2006 across the country. We do not know how many of these crimes were perpetrated against Indigenous women because, these days, identity in Mexico can be a matter of life and death. There will be no vigil & no marching to parliament hill. We are asking for donations of wild meat, wild rice and our allies in solidarity to bring something to the feast. 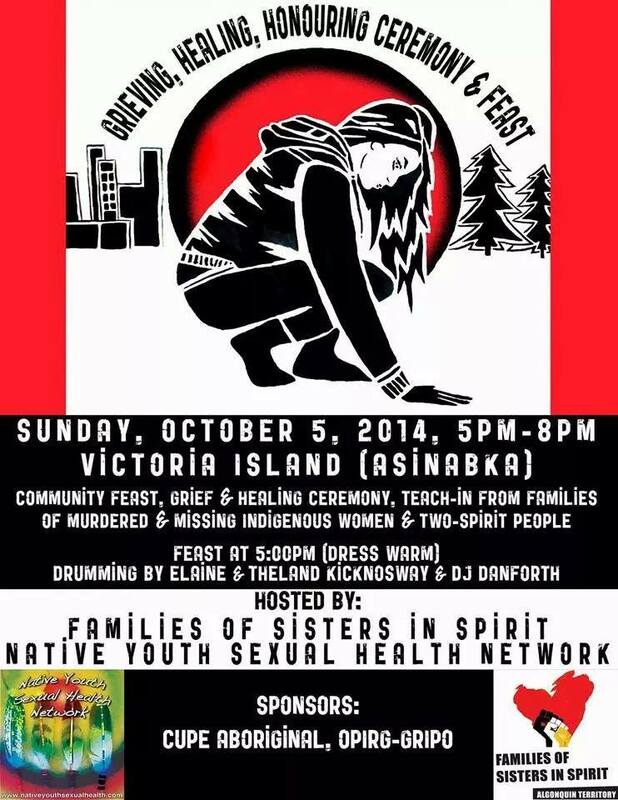 Join us for a special gathering with families of missing and murdered Indigenous women,girls,Two Spirit and Trans People. 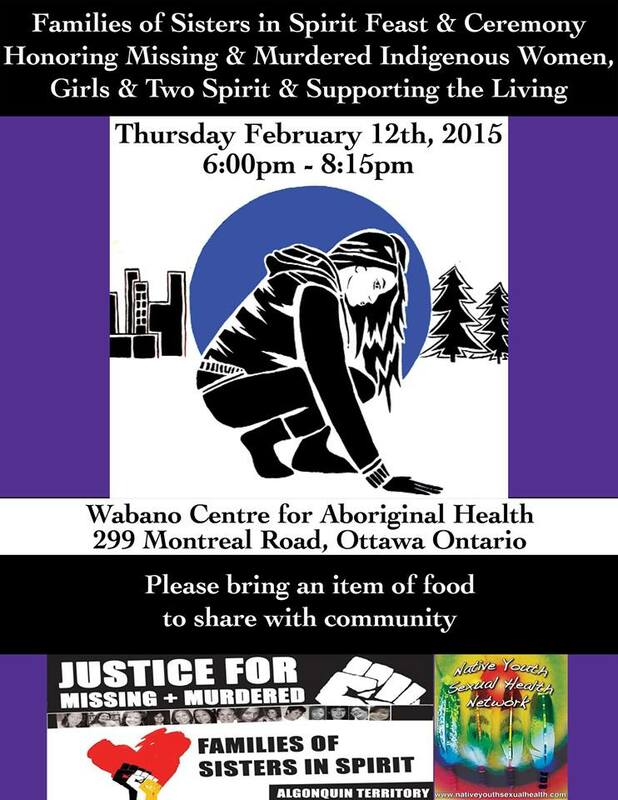 Families of Sisters in Spirit along with The Native Youth Sexual Health Network will collaborate on this event. 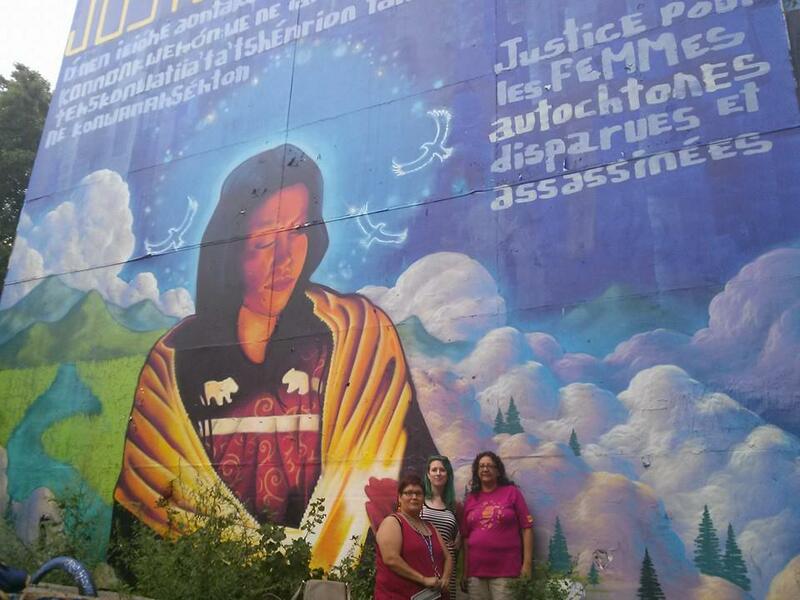 Families of Sisters in Spirit (FSIS) is a grassroots volunteer collective of family members of murdered and missing Indigenous women with support from Indigenous and non-Indigenous/settler friends and allies. FSIS is based on unsurrendered and unceded Algonquin Territory in Canada’s capital Ottawa (province of Ontario). We accept no government funding and reject the idea that FSIS legitimacy and success comes from engaging with the settler colonial state. Our lifework is rooted in honest and meaningful engagement rooted in community self-determination–outside the nation-state– to embody Indigenous values of love, friendship, mutuality, respect, interdependence, and collective healing and justice. FSIS has been following the current/ongoing siege on Gaza and occupied territories of Palestine very closely on social media. We feel simultaneously helpless, heart-broken, enraged, and emboldened to act. We bear witness to unspeakable acts violence of collective punishment; images of brown children literally blown to pieces and hospitals, schools, parks, neighbourhoods, beaches and civilians targeted with impunity to make way for annexation of lands for illegal Israeli settlements. We see very clearly the parallels between the violence of settler colonialism –past and present–across Turtle Island (North America) and the occupation of Palestine via continuation of genocidal settler colonial policies. We view struggles to protect our homelands, identities, and lives as interconnected and inseparable from what is happening to our Indigenous brothers and sisters in Gaza. FSIS rejects mainstream media discourses and ‘official’ statements from federal government parties which function to condone and further entrench genocide. We fully reject and oppose Canada’s and the west’s complicity in the destruction of Palestinian territorial lands and deliberate annihilation of a sovereign People. 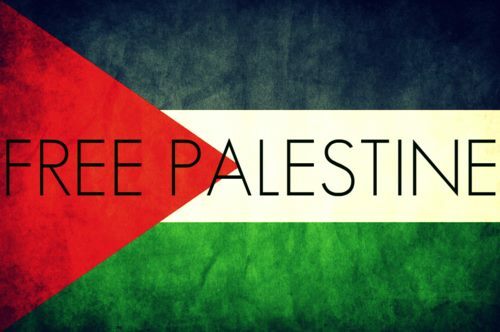 Our spirits, prayers, unconditional love and support are with the people of Palestine; with the thousands killed and injured, and the millions affected. We hold close to our hearts the undying resistance and resilience of Palestinians in the face of unimaginable trauma, loss, grief, rage, and fear. The words of Rafeef Ziadah* come to our minds as we honour and celebrate Indigenous Palestinians for waking up every morning to teach the rest of the world life (sir). With our whole hearts and spirits we denounce the war being waged on Indigenous Palestinians under Israeli apartheid, illegal occupation, and ongoing colonization of Palestine. FSIS refuses to sit idly by as this wholesale destruction continues. There must be an immediate ceasefire, Israeli arms embargo, and widespread support for the international boycott, divestment, and sanctions (BDS) movement. We call on Indigenous and settler folks in solidarity to make these necessary connections between our intersecting struggles and to make explicit our committed resistance to colonialism so that we can live as we were always meant to be, as thriving, free, sovereign Indigenous peoples. 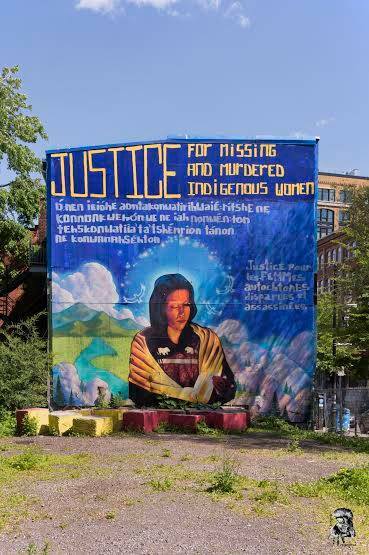 This Saturday July 19th at 6pm, the Center for Gender Advocacy is hosting a celebration for the completion of a public mural commissioned by Missing Justice. 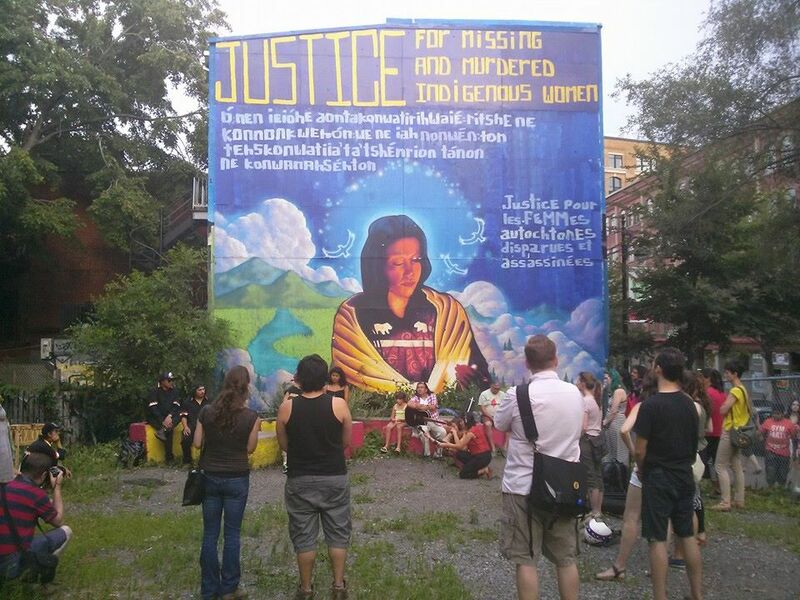 The mural, which is located on the wall of the anarchist bookstore L’insoumise, stands as a public statement to denounce and demand attention to violence against all indigenous women, and honor the lives and spirits of those who have gone missing or been found murdered. CKUT’s Alice Dutrut and Jehane Yazami talked with Alisha Mascarenhas from the Center for Gender Advocacy about the upcoming event.